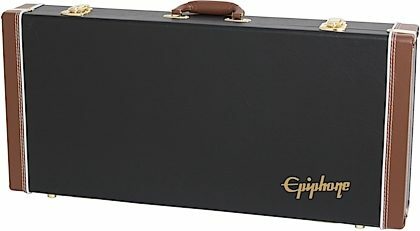 Got an Epiphone Mandolin (specifically the MM50) and need a case? No better case to get a case from Epiphone than this one. The ED50 case fits it perfectly. Overall: The case is really nice looking. I had to send the first one back because the mandolin did not fit in it very well, and the inside of the pick compartment was falling apart. There was no clearance on one side of the head/tuning keys and plenty of room on the other side. I received a replacement fairly quick and the exchange process is pretty smooth. The second case fits the mandolin better.The pick compartment is still not right in this one it seems to be separating as well. I think I will just keep it though and repair it myself. Overall the case seems sturdy and like i said it does look pretty nice!